When it comes time to create custom embroiderd patches for your team, organization or company, Custom-Patches4Less.com makes it a breeze. Just send us a picture of your logo, existing patch or any idea that you want to see on a custom embroidered patch! 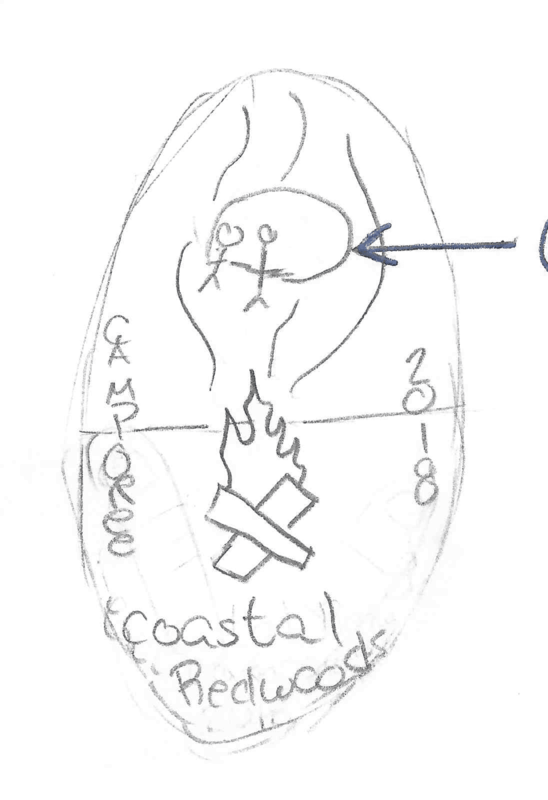 You can e-mail us a sketch or drawing of your desired design. Start with what your patch is about. Do you want to promote your brand or logo, celebrate a special event, identify your staff? 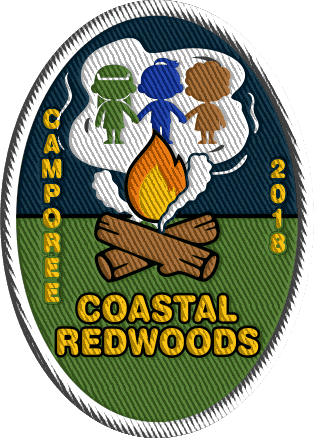 Whatever you want your patch to say, our experienced graphic artists can turn it into reality. We can work with anything from a doodle to a fully formed design to maximize the appeal of your patches. Keep in mind what you want your patches to convey. The simpler the design, the clearer your message will be. We can work from your own artwork, or just from a description of what you want. 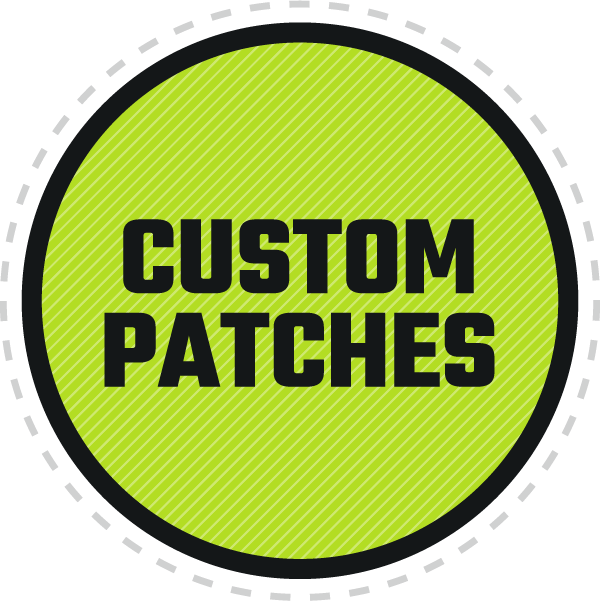 We'll work with you to ensure your patches say exactly what you want them to, in an attractive, eye-catching way. Calculate the size of your patch. We use an easy equation for that. Just measure the width and height of your patch in inches, then add those two numbers. Divide that by 2 and you have the size of your patch. For example, if you have a patch that's 2 inches high and 4 inches wide, that equals 6 divided by 2, for a patch size of 3 inches. For in-between sizes, round up to the nearest half-inch. 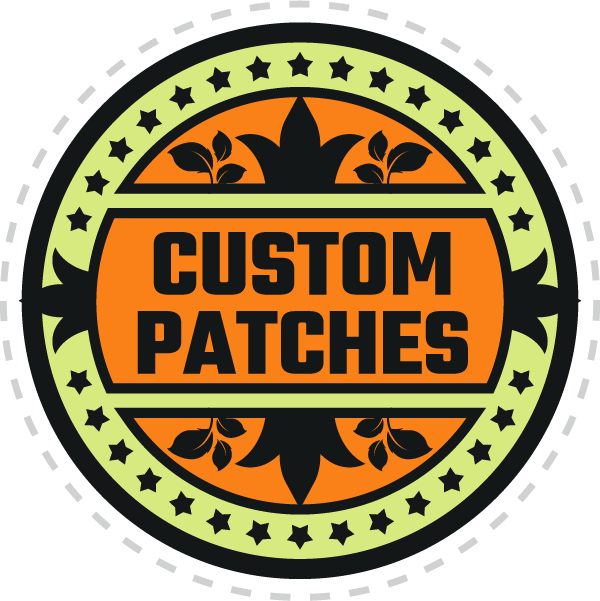 You can choose between merrowed and hot cut borders for your patch design. The standard merrowed border is the most common style. This is a raised, wraparound border that shows a clear demarcation between the patch and the garment it's attached to. This style is best for standard patch shapes such as rectangular, square, round or oval. Hot cut borders are laser-cut edges that conform precisely to the patch shape. This is ideal for custom shapes. The patch is completely flat against the garment it's attached to. There is a nominal extra charge for hot cut borders. 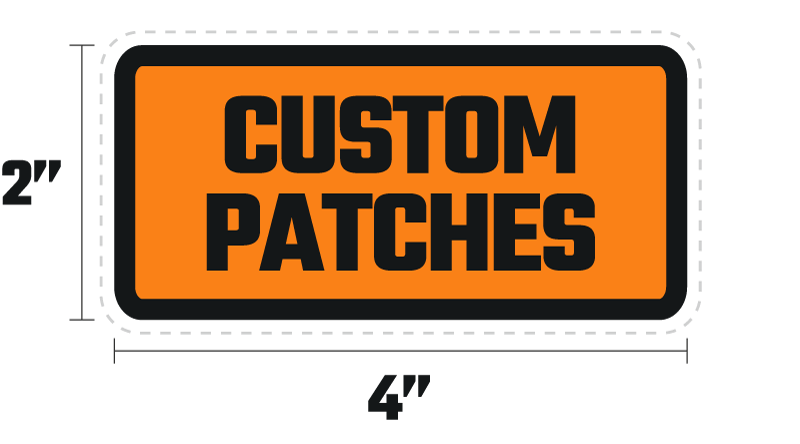 We offer a range of patch backing options to meet your needs. Our staff can help you determine which is best for your specific application. Sew on patches are our standard style, with no additional backing material. Iron on patches are easy to apply, with no sewing required. Tape backing is best for fast attachment and temporary, short-term use for events. Button Loops allow patches to hang from lapel pins or uniform buttons, with no other attachment required. Plastic backing can be added to sew on or iron on patches, and adds extra support to your patches. This enables them to keep their shape, even with constant use. The embroidery percentage of your patch is determined by your design. A 50% embroidered patch leaves at least half of the twill backing material visible. This is typically the case for very simple designs such as uniform name patches. A patch with 75% embroidery is more intricate, but still shows part of the twill backing. The most complex style, a 100% embroidered patch, covers the entire backing with embroidery, leaving no visible twill. Our graphic artists will be happy to help you determine the embroidery percentage of your patches, based on your design needs. For embroidery of less than 100%, we can coordinate your backing twill color with the thread colors of your design. This is your opportunity to let us know any additional information about your design, and any specific requests. 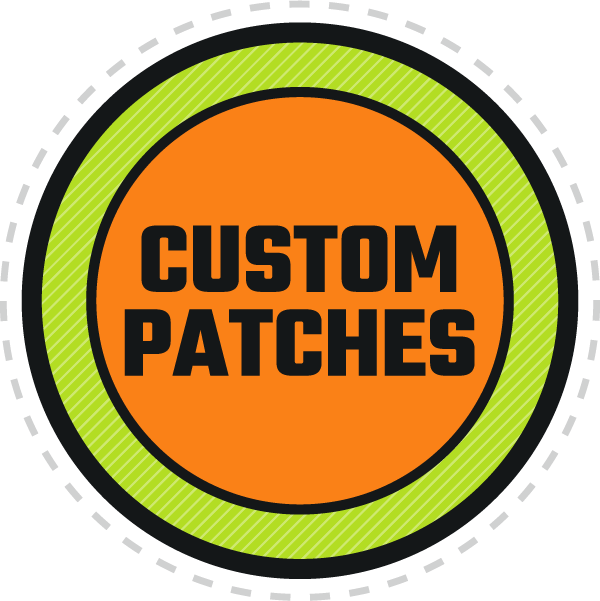 We'll work with you every step of the way to design the most attractive, cost-effective custom patches you can buy. Almost there! Just fill out the contact information below and we'll get started on your free digital proof of your custom patch design. We typically respond in less than 24 hours to a quote request. You're under no obligation, and we're always here to answer any questions you might have about your design or custom patches in general. 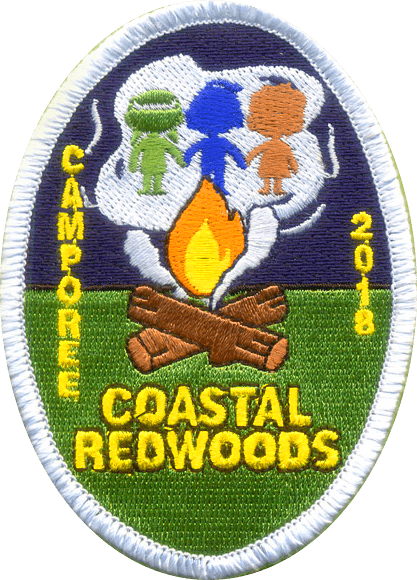 We look forward to serving your custom patch needs!